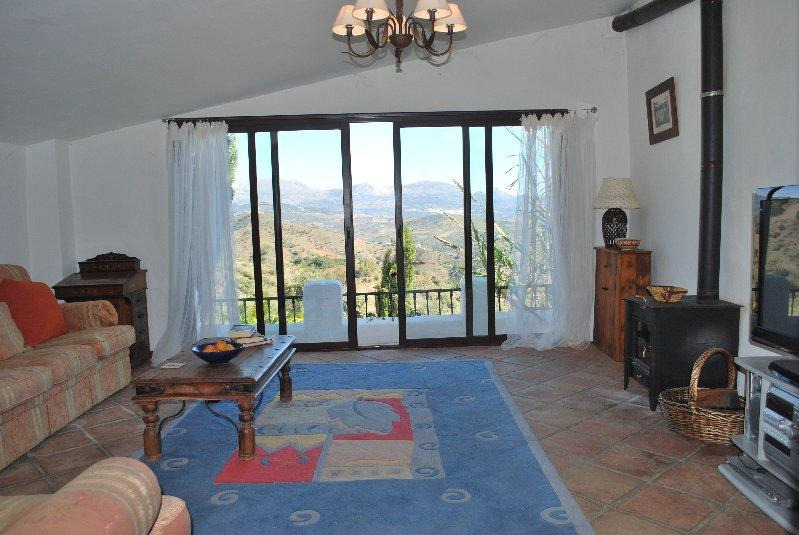 This impressive Andalucian farmhouse , located in an elevated position, amongst olive and almond groves, has the most stunning views. 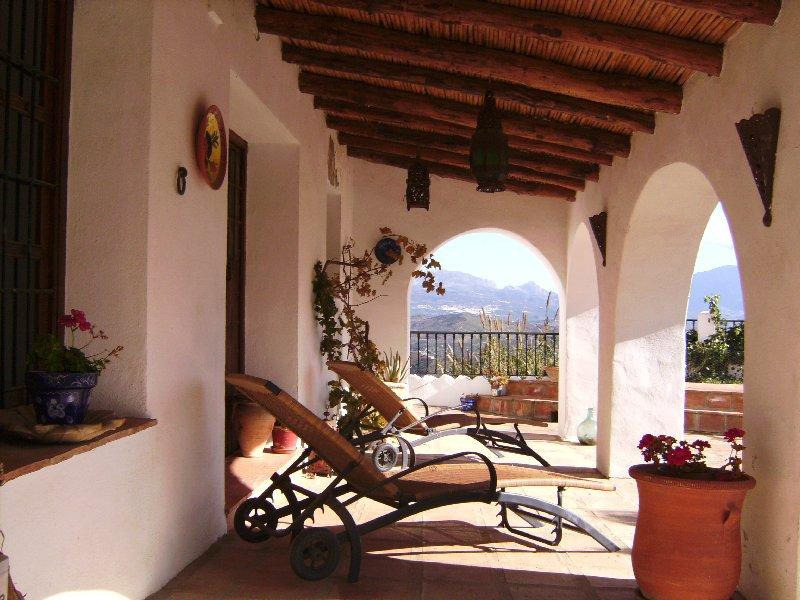 Overlooking the valley, across white-washed vilages, the scenery stretches across to the Tejeda mountain range. The farmhouse has been a family home for many years and in the process has been lovingly restored yet has retained many of its original features. 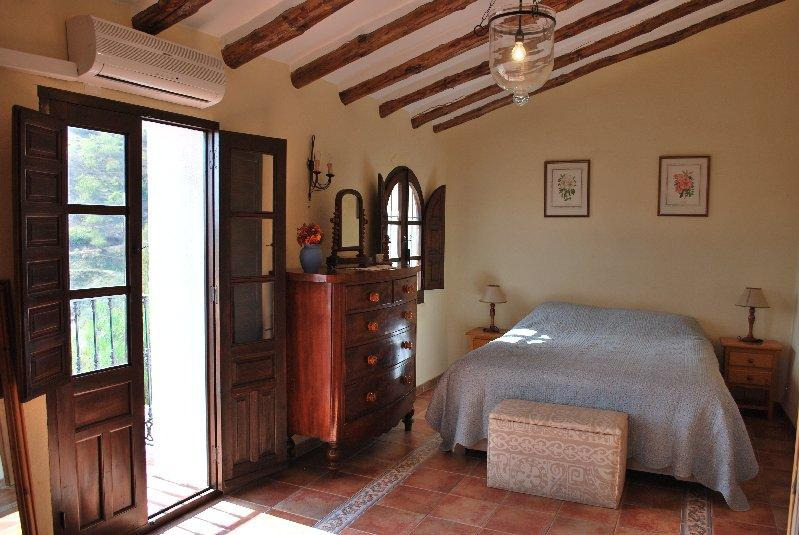 The rooms all have traditional beamed ceilings, many with terracotta floor tiles, open fire place/wood burning stoves, decorative wrought iron and beautiful original wooden doors. "Modern " and "comfort" have been carefully introduced. 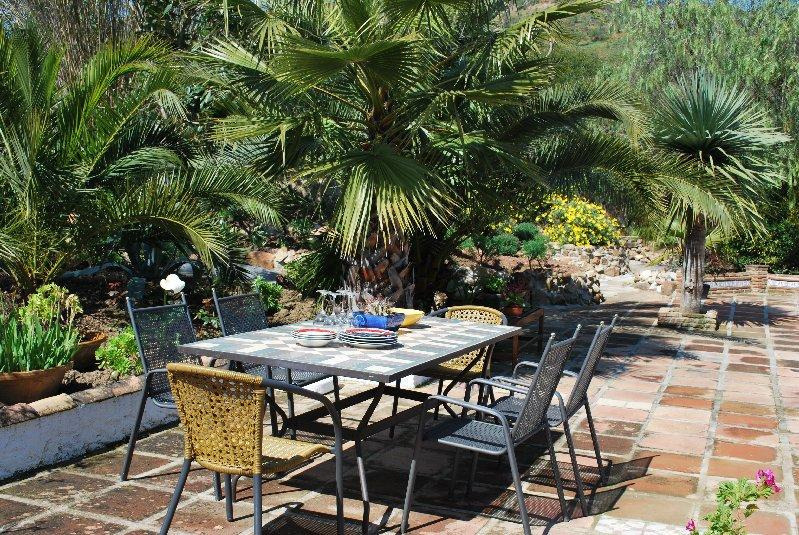 The outside of the property has extensive patios/seating areas around the pool, gardens abundant with trees and flowers, BBQ and covered eating areas for dining al-fresco. 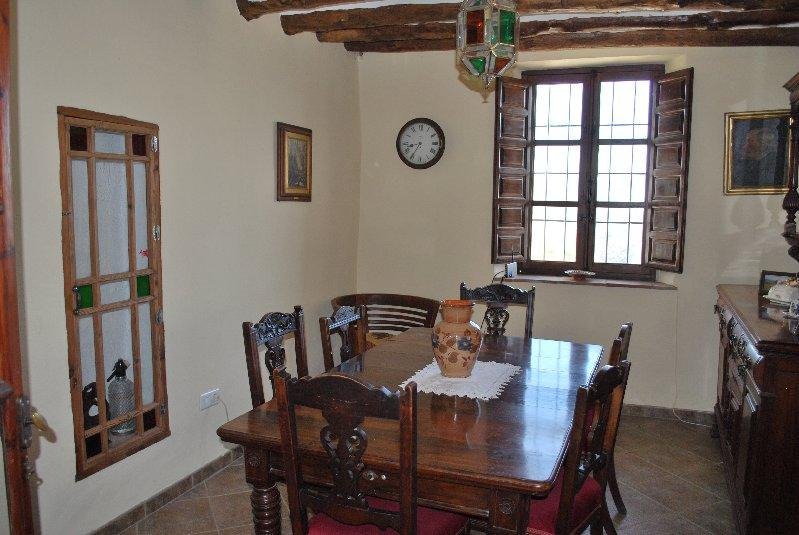 Colmenar has good bars and restaurants, local market, banks, 24 hour medical centre, small supermarkets, bakeries etc. 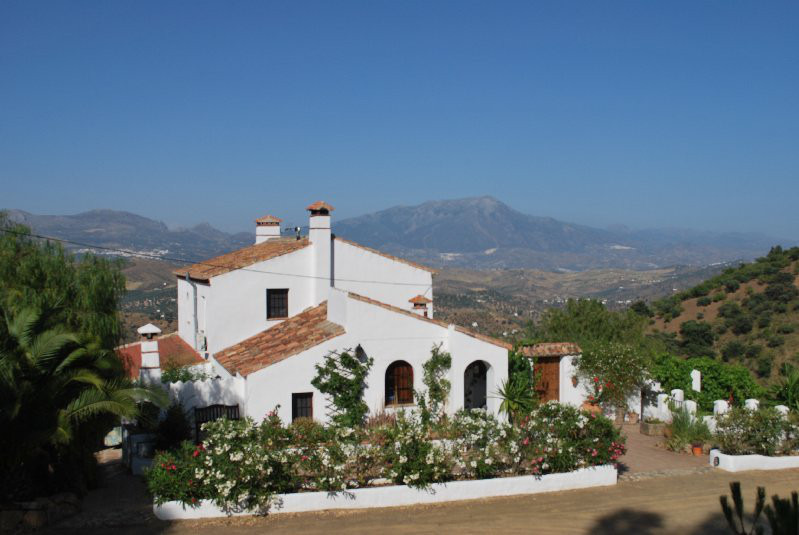 Historic Granada and Malaga, cosmopolitan Marbella and Nerja, beaches, shopping centres, zoo s , golf, water parks, horse riding are all an easy drive. 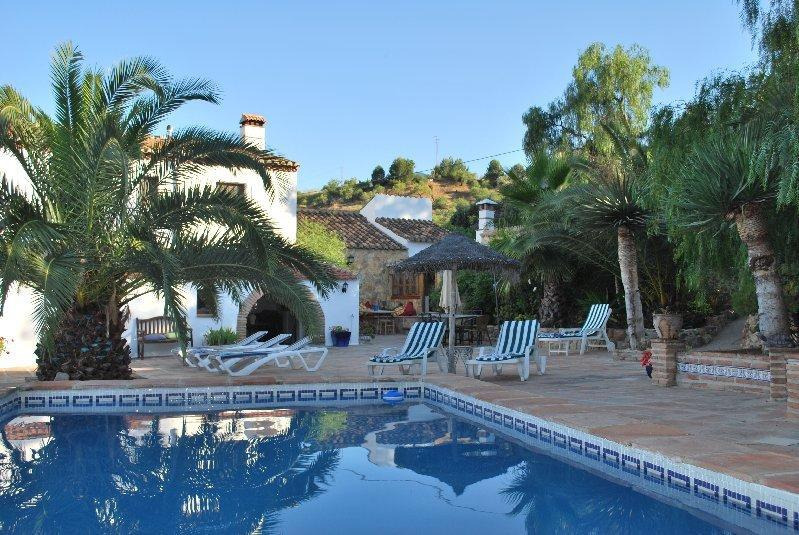 However if it is just relaxing by the pool in the sunshine and enjoying the beautiful views, then this is the place! 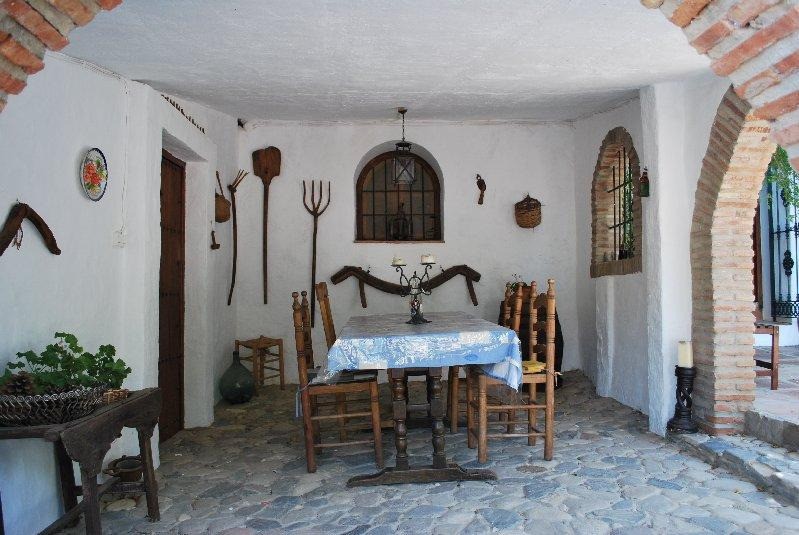 The local village of Colmenar is known as the capital of the Axarquia region of Andalucia. It derives its name from the beehive or "colmena" and its organic honey can be bought today. The village also has a honey museum showing the process of collecting and producing the local honey. The village lies in an elevated position with a church at the very top of the vllage. The views from here of the surrounding area are superb. Colmenar has a very good selection of tapas bars, restaurants, bakers, butchers, small supermarkets, chemist, 24 hour medical centre , banks and a weekly fresh fruit and veg market. It is also well connected by good roads to the motorway junction only kms away making it an ideal base for touring and for easy day trips sightseeing. The village has 2 main festivals, one in February and one in August although all the surrounding villages also have their own festivals. The Spanish always have something to celebrate! 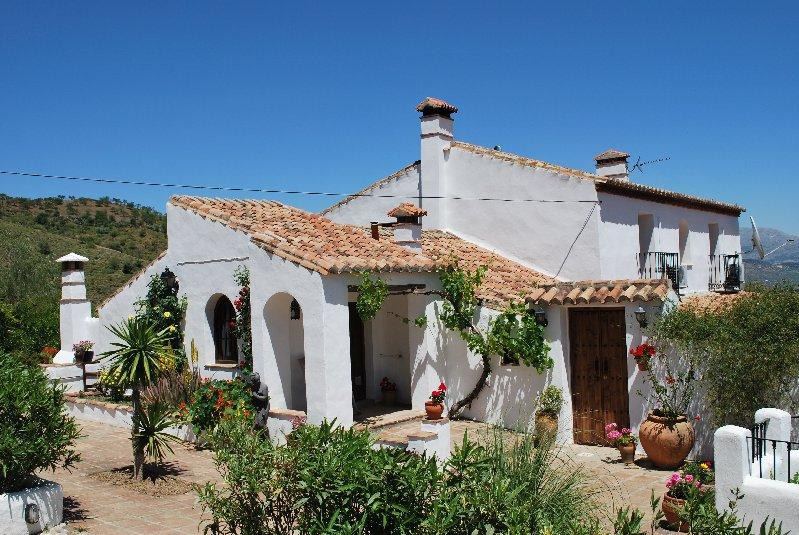 Colmenar is close to the villages of Rio Gordo, Alfernate and the beautiful hilltop village of Comares. There is a small local park, huge municipal swimming pool and a great area for country walks. A small riding stable is located a few miles away, 2 larger ones approx 35 mins and the area is also idea for birdwatching, walking and bike riding. The Montes de Malaga national park has lovely cool walks in the pine forests and the Torcal National Park with its fabulous rock formations is good for walks and picnics. 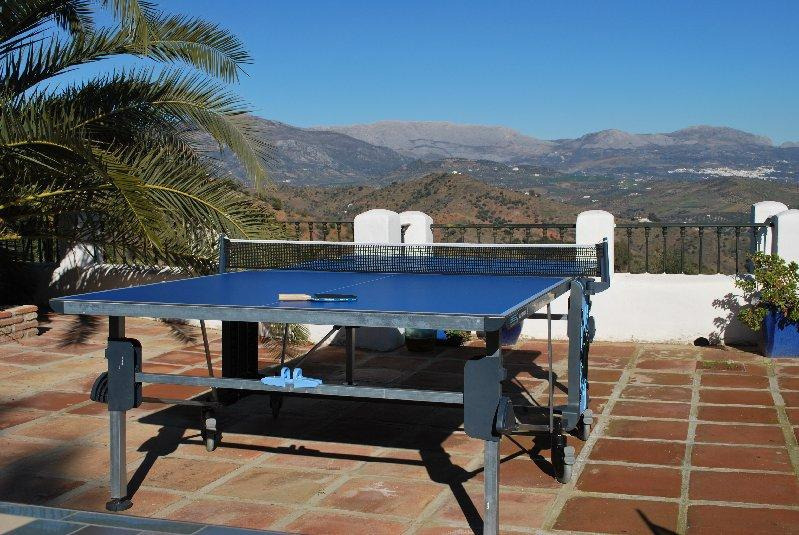 The area really has something for everybody, but it is also ideal for relaxing and taking the slow pace of life in the Andalucian countryside in the beautiful sunshine! 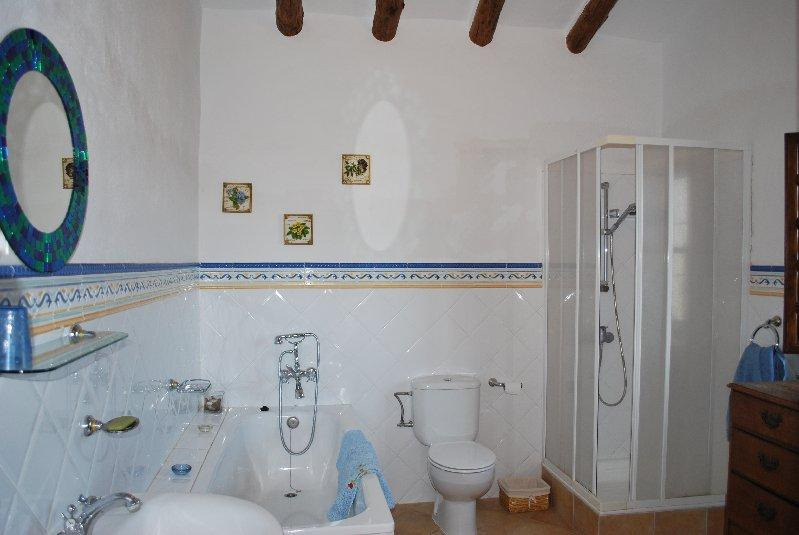 The price is for a weeks rental and can be paid in pounds sterling or the equivalent euros. 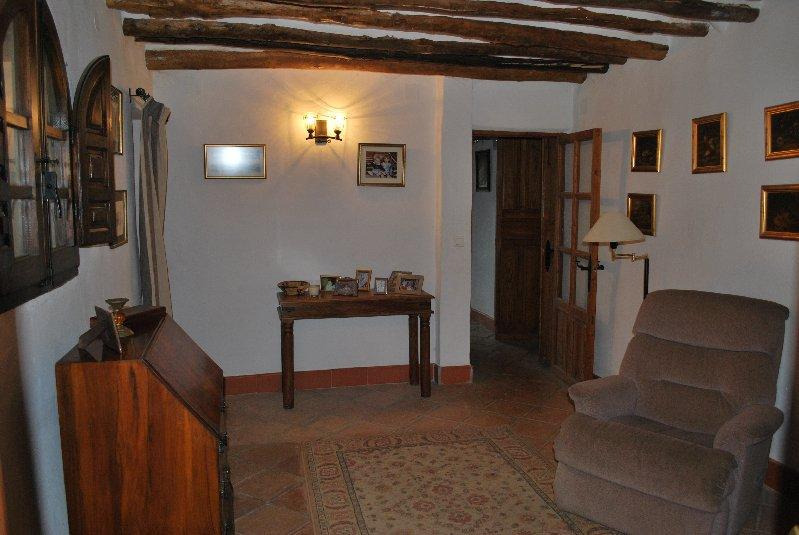 If you wish to book the property a deposit is required to confirm your booking. A receipt is sent or all payments along with directions . The balance can be paid any time up to 6 weeks prior to your arrival. Discounts are given for booking of over 2 weeks or for smaller parties of 2/3 persons.Discounts available for late deals. Wifi 25 pw 40 x 2 weeks payable on arrival , please book. 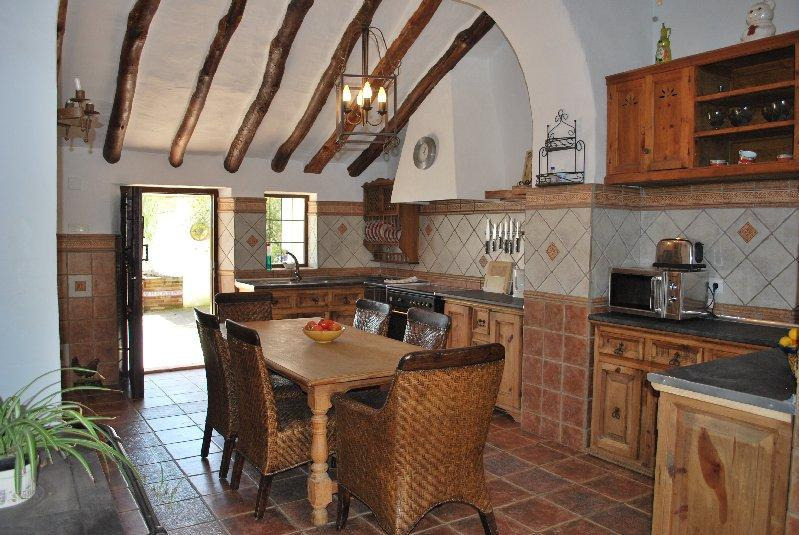 Trips, cookery/art/yoga,walking/birdwatching beauty therapy etc can all be arranged to enhance your holiday in this beautiful property. Please ask for further details. A security deposit of 150 is required and returned in full at the end of your stay as long as there are no breakages or damage.